As 2015 European Green Capital, Bristol boasts a luscious variety of flora, and has a healthy transport system as those on two wheels or two feet battle hills daily rather than brave the temperamental buses. However, the way most of us eat is still vastly controlled by the variety of meal deals available in Sainsburys. The bustling city doesn’t always wait for fresh produce, and Bristolians find themselves forgetting what mint in a pot actually tastes like. Incredible Edible Bristol is a volunteer group transforming unloved spaces into beautiful, edible gardens. Their mission statement reads: “Incredible Edible Bristol are inspiring people all over the City to take food production back into their own hands. Since their beginnings, Incredible Edible have transformed over 30 spaces, from Castle Park to the Bearpit, and host ‘work parties’ to nurture these spaces and keep gardening every week. While founder and loyal volunteer Sara Venn leads every session, attendees and volunteer vary, from the seasoned gardeners to the curious passers-by on a sunny day. Open to all ages, gardening isn’t a post-retirement hobby. Students have found a new passion through Incredible Edible, enjoying green spaces in Bristol that can be somewhat lacking across rented accommodation. “Thanks to the gang at Incredible Edible, I think I’ve found something to fill that missing part of me,” says Ross, a veteran volunteer. Incredible Edible Bristol offers the opportunity to develop a new skill, nurture neglected spaces, meet new people, and reinvigorate the way we understand and appreciate food. Everything planted is edible – kiwis, marigolds, artichokes – and is free for anyone to take and eat. Sara is a professional horticulturist (and “plantswoman, gardener, garden writer, food activist and self-confessed plant nut”, according to her website) who founded Incredible Edible Bristol in 2014. Her passion for growing and urban regeneration has led her to nurture Incredible Edible Bristol for up to 80 hours per week. With no commitment, no cost and incredible rewards, it feels like a no-brainer. 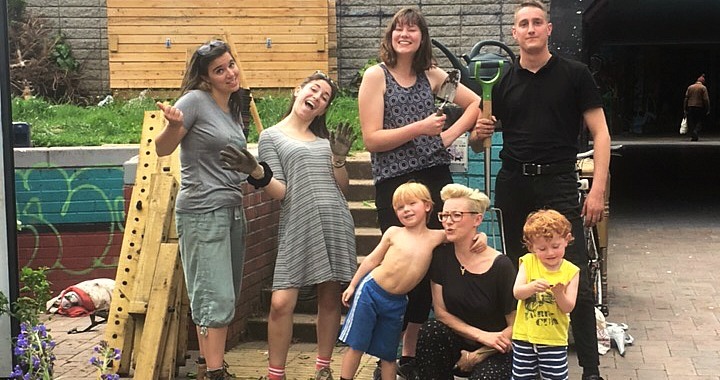 As the summer days roll in, it’s a chance for more people to enjoy the weather and do a spot of gardening – for the benefit of everyone in Bristol. It’s pretty IncrEdible.